The Nigerian Army on Thursday claimed that Boko Haram insurgents had add another dimension to their insurgency in the North-East by using drones and mercenaries to attack troops and military formations. 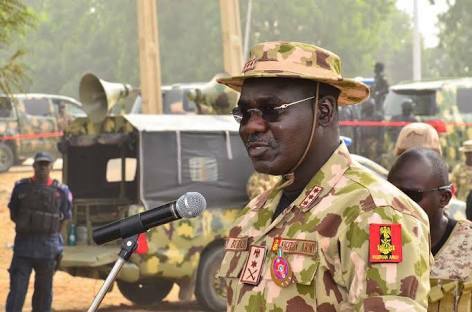 This came after Boko Haram terrorists attacked the Nigerian Army 118 Battalion’s location in Arege in the Abadam Local Government Area of Borno State on Wednesday night, a few hours after President Muhammadu Buhari addressed military officers at the Chief of the Army Staff Conference in Maiduguri. It was learnt that the insurgents believed to be a faction of the Islamic State West African Province, which attacked the 157 Battalion in Metele on November 18, attempted to cart military weapons away from Arege but were repelled by troops. The government forces suffered some casualties in the encounter. It was also learnt that four Boko Haram fighters’ corpses were recovered by troops after the gunfight. The army confirmed the attack on its official Facebook account on Thursday, saying soldiers however subdued the insurgents with “superior firepower and inflicted heavy casualties on the terrorists”. But the army was silent on the number of injured or dead soldiers. It said, “Troops have repelled a Boko Haram attack on Arege in Borno State. On Wednesday evening, Boko Haram attempted to infiltrate the 118 Battalion’s location at Arege in Abadam LGA. “The terrorists were routed by the troops, neutralising many of them while others fled in disarray due to superior firepower. As a result, they hastily removed most of the corpses (of their dead colleagues) under the cover of darkness. In a statement late Wednesday night by the Director of Army Public Relations, Brig Gen Sani Usman, the army said Boko Haram’s attacks on troops had revealed that the insurgents now use drones and foreign fighters, noting that the army and other services were, however, capable of degrading the terrorists. He said Boko Haram killed 39 soldiers in separate attacks on army locations. According to him, 23 soldiers were killed in the Metele attacks, while 16 lost their lives in other attacks. 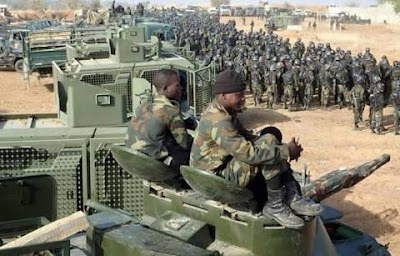 Usman said, “Troops deployed in the North-East under Operation Lafiya Dole have come under a series of attacks by a large number of Boko Haram terrorists. “Specifically, the troops deployed in Kukawa, Ngoshe, Kareto and Gajiram came under attacks at different times within a two-week period from November 2 to 17. “Each of these incidents was successfully repelled and many of the terrorists were killed. However, a total of 16 soldiers were killed in the course of these attacks while 12 were wounded in action and are receiving treatment at our military medical facilities. “Nigeria is contributing troops to the Multi-National Joint Task Force, which has its headquarters in N’Djamena, Chad. One of the Nigerian battalions, 157 Task Force Battalion, deployed under the auspices of the MNJTF was attacked at their base on the outskirts of a town called Metele on November 18.